Most Americans spent the Memorial Day weekend celebrating the freedom granted by the brave military men and women who paid the ultimate sacrifice to secure it. 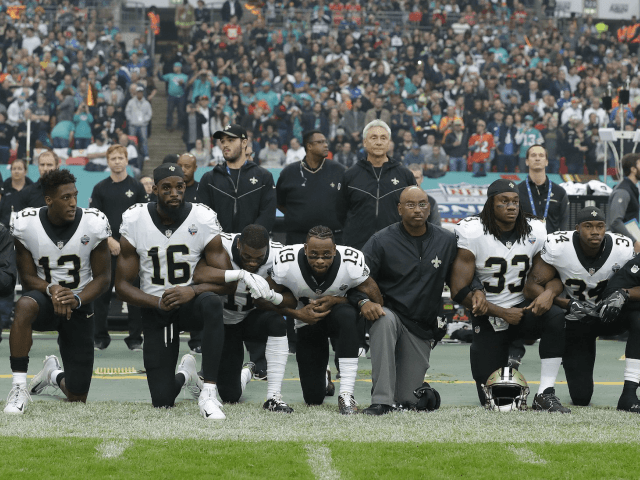 However, left-wing National Public Radio (NPR) decided to mark the solemn occasion by questioning what it means to be patriotic, based on the NFL’s recent announcement that it will require players to stand for the National Anthem or face fines. NPR interviewed Howard Bryant, ESPN sportswriter, and author of The Heritage: Black Athletes, a Divided America, and the Politics of Patriotism. Bryant believes African Americans have been targeted for being activists even if they are justified in protesting what players have said are related to police brutality and other injustices. “I think there was an attitude that everybody’s equal now and there was no reason to be in the street, and there was no reason to continue on,” Bryant said in an interview with the Nation. “And the players had finally started to earn as well. “So, I don’t think there’s any question that there was a cultural argument amongst African Americans whether there was still a need to stay active,” Bryant said. “I don’t know if we believed that we had to. “I think what’s funny about that is that this attitude was growing at a time in the 1980s when so much was being taken away,” Bryant said. “There was far more of a conservative crackdown and more emphasis on police power and more emphasis on undoing those victories of the 1960s, and the players still didn’t come around because they were making money. “They didn’t feel they had to be involved,” Bryant said. During the preseason in August 2016, then-San Francisco 49ers quarterback Colin Kaepernick took a knee during the national anthem. He was, at first, alone in his protest, but continued it into the regular season as countless others joined him. Bryant said in his NPR interview that he blames President Donald Trump for the NFL’s new rule. “The phrase ‘weaponizing patriotism’ has been used frequently in this debate,” NPR reported. “It is how those protests are framed, Bryant says, that begin to weaponize patriotism,” NPR reported.